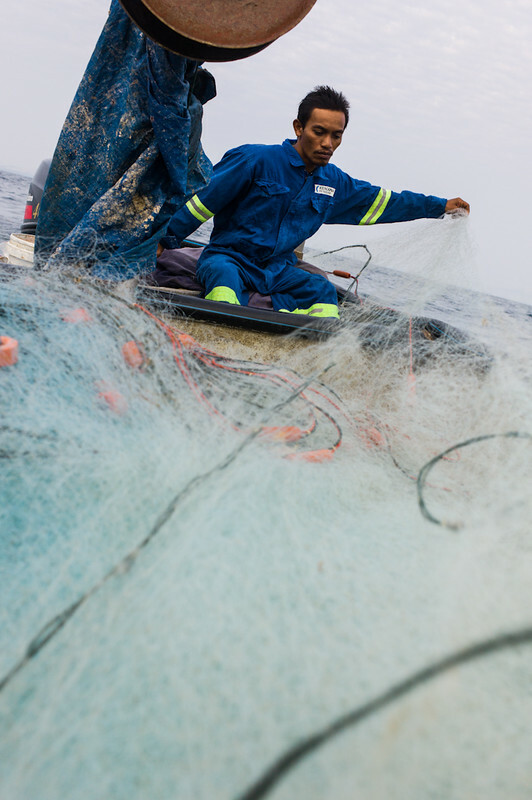 A fisherman reels in the catch of the day in the South China Sea – This image was exhibited at the Leica Gallery Singapore earlier this year. Adventurer, passionate lover of life, photojournalist, and founder of the legendary photo agency Magnum Photos, Robert Capa would have turned 100 years old today on the 22nd October 2013 had he not been killed by a hidden mine in the fields of IndoChina while on a patrol with the French colony. Considered one of the most legendary war photographer of all times, his images of the Spanish war were etched inedibly in our consciousness, and who could forget one of his most famous, and disputed photo, “Death of a loyalist militiaman”? 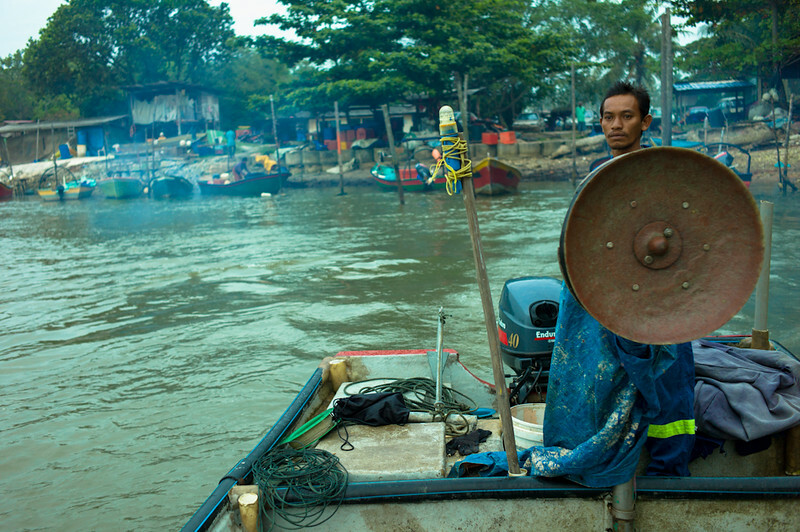 A Family living by the sea in this community of fishermen. 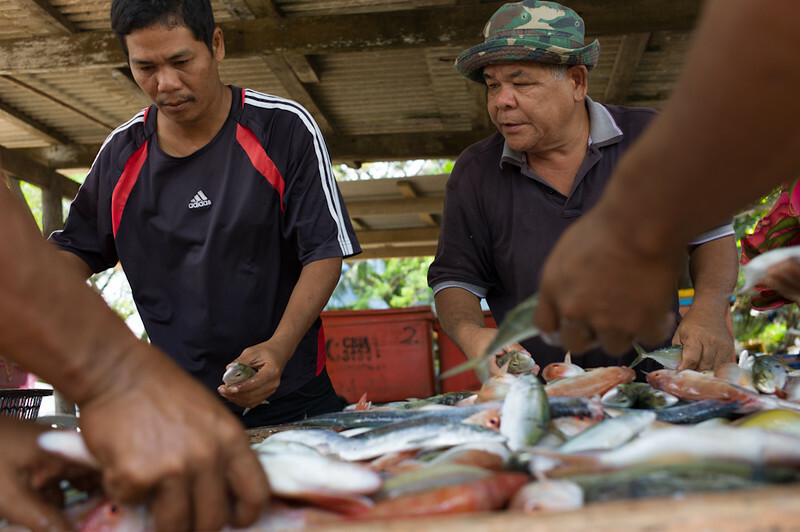 This family sells food by the sea, serving the community of fishermen. But it was Capa’s indisputably daring photographs from the cruel surfs and blood soaked sands of the beaches of Normandy during the D-Day invasion which captured my attention and cemented his reputation both in my mind and in the minds of historians and photographers everywhere. His most famous maxim “If your photographs are not good enough, you are not close enough” echoed through the halls of photojournalism schools and inspired a generation of photojournalists and documentary photographers. The Magnum Photos agency which he co-founded with Henri Cartier Bresson, David “Chim” Seymour, George Roger and William Vandivert is one of the oldest and most famous photo agencies, a organisation home to the witnesses of the history of this generation. Fishermen relaxing after a day’s catch. 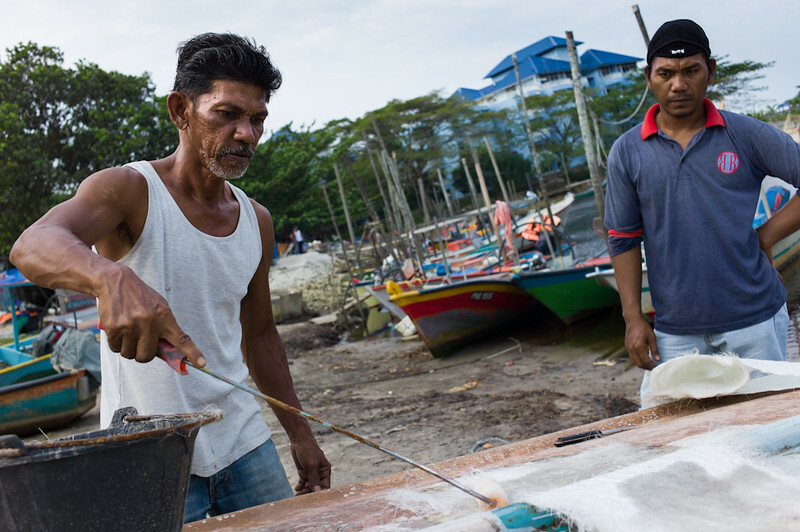 Workers repairing fishing boats in Trengganu, Malaysia. I have not shot any wars or covered any conflicts, so unlike the tribute to Henri Cartier Bresson, I wouldn’t be able to furnish this post with shots similar to what he shot. 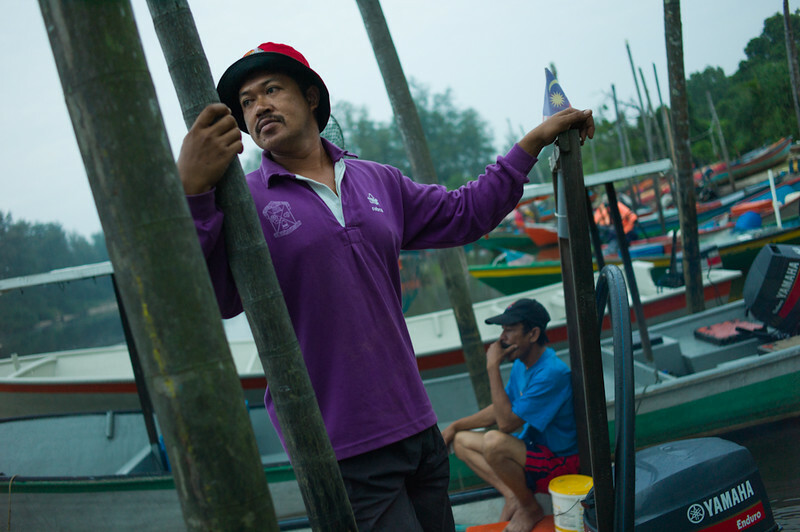 However, I did have vivd memories of my first story shot with a then loaned Leica M9 on the South China Seas, documenting the life and work of fishermen in Malaysia. I’ve posted these pictures before but here’s a repost of the photojournalistic work (with new pictures) in the vein of how Capa would have worked, up close and personal. 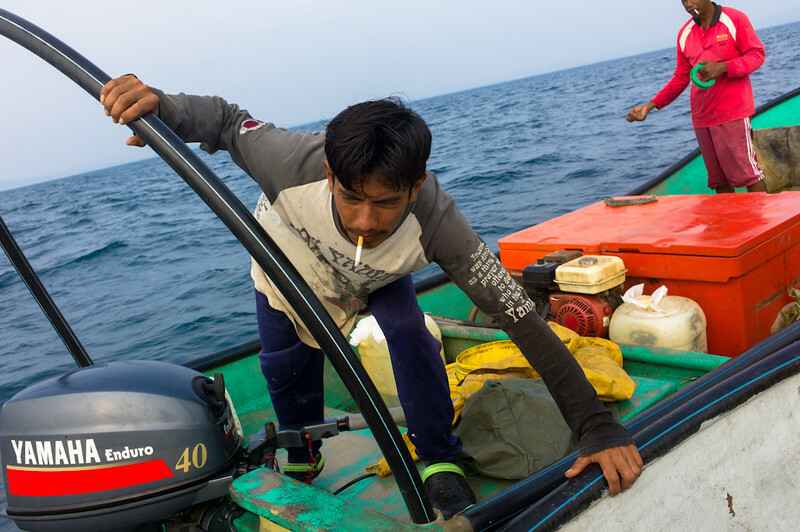 Though I had suffered no post traumatic stress disorder unlike many who came back from wars, I did suffer from sea sickness, throwing up several times on the rocking boat in the middle of the sea while trying to photograph the fisherman at work. Here then is my tribute to Robert Capa – Fishing on the High Seas. 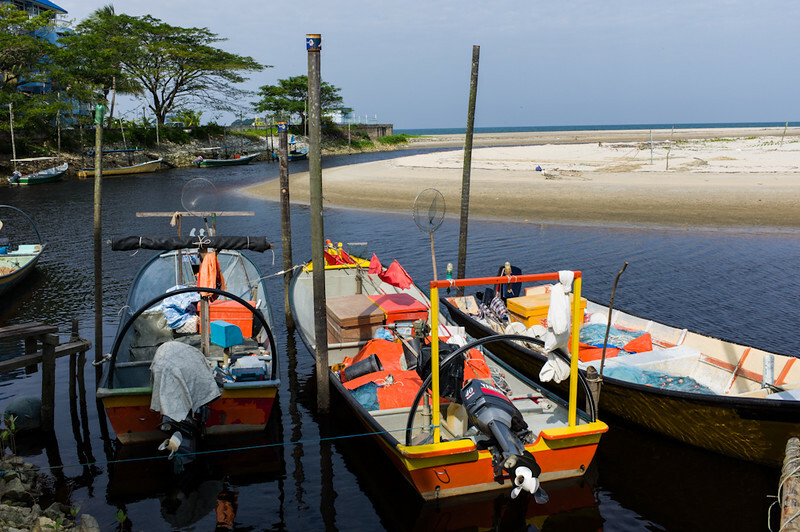 Fishing boats ready to go out to sea. 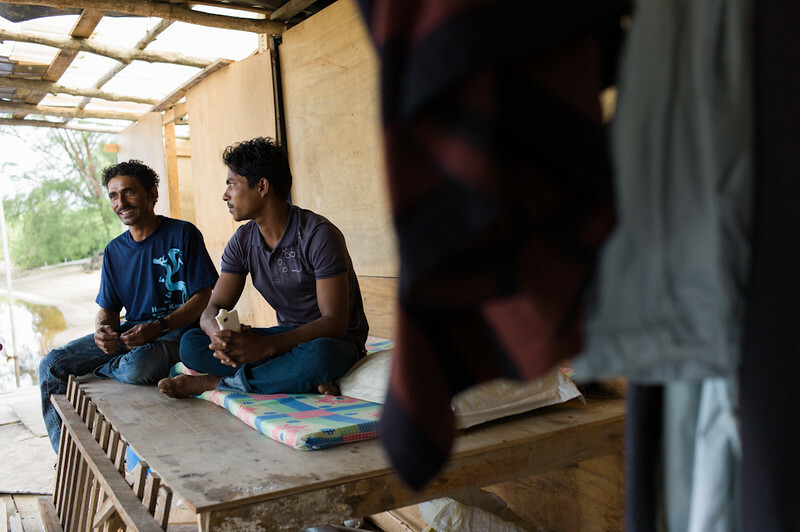 Battling rocky waters on the high seas, being scorched under the sweltering tropical heat while hauling in the catch from the sea which forms the basis of one’s livelihood, the fishermen of Malaysia toil unceasingly using the most basic of tools. 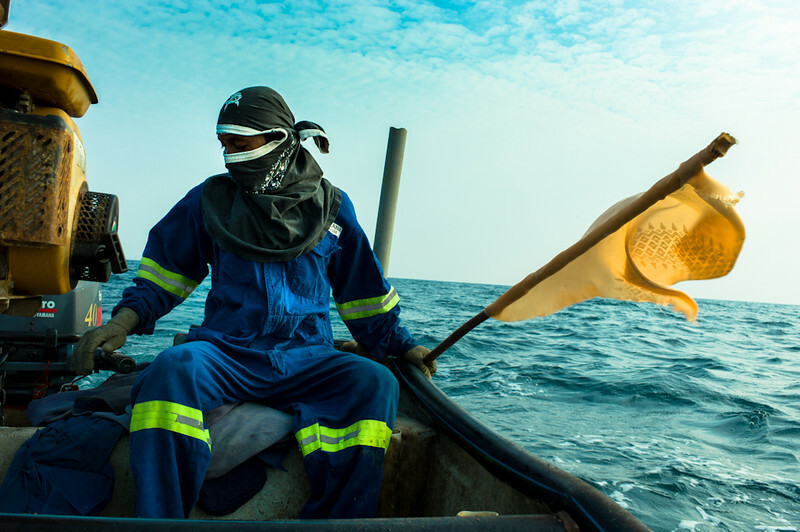 In September of 2012 I had the privilege, through a Leica Akademie workshop led by photojournalist Mathias Heng, of visiting a group of fishermen and following one of them out to sea to experience a part of their lives. Fishermen resting early in the morning before heading out to sea for another day’s work. A look back towards the fishing village as we sped in the single outboard engine boat further and further away from shore into the deep sea. I spent about 5 hours out in the open sea with one of the fisherman, and it was one of the most unforgettable experience in my life. For one, I did not expect to get seriously sea-sick – I threw up a total of 4-5 times while the boat bobbed vigorously in the choppy seas while the boat was stationary – that was when I learnt that the motion sickness sets in when the boat is not moving. I had the impression I was doing well as for the first one and a half hour while the boat sped towards the deep sea, I was not suffering any ill effect at all. 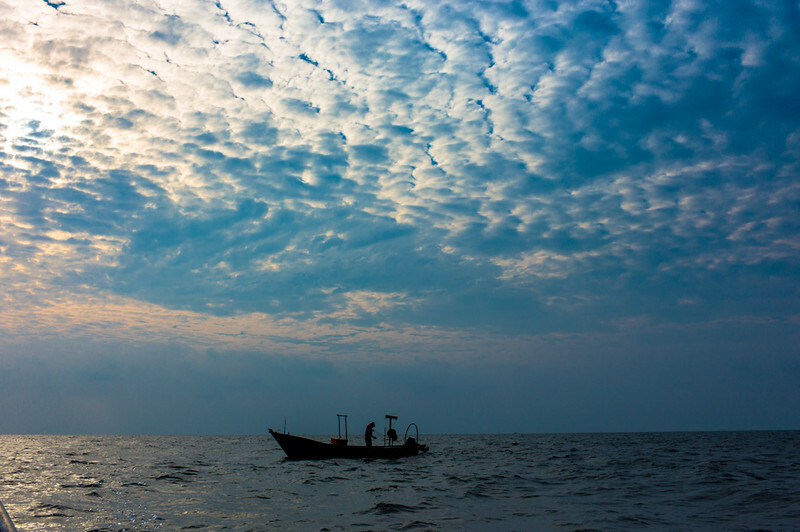 Out in the South China Sea, fishing is a solitary and spiritual activity. Fishing out in the sea is both a solitary activity as well as a spiritual one, as you become one with the sky and the open sea. When I looked around me, all I see was the blue of the sea and the parting of the clouds at the sun rises higher up during that morning. A rare moment of interaction as another fishing boat pulled up past ours and the fishermen got to chat with one another for a while. Out there alone, patience is a virtue as the fisherman laid out the long net in the sea, and waited for the fishes. 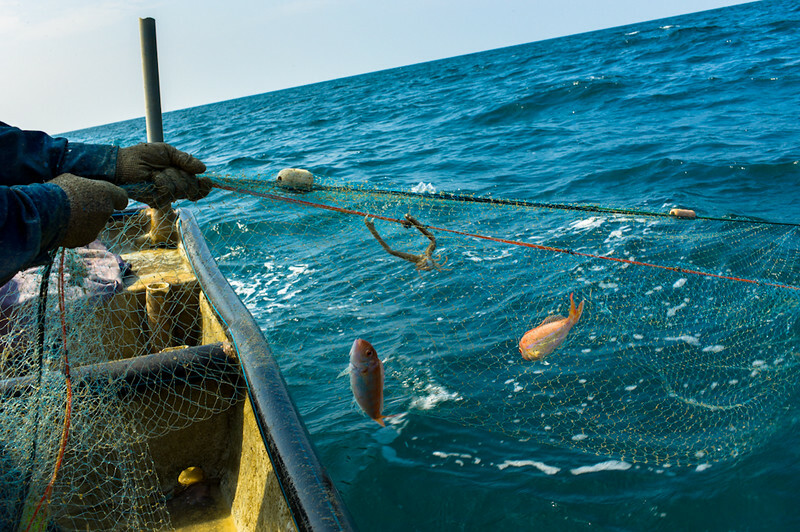 The long net was released slowly into the sea as the fisherman slowed the boat down. The flag are markers for the beginning and end of the net. Letting down of the net out in the sea. 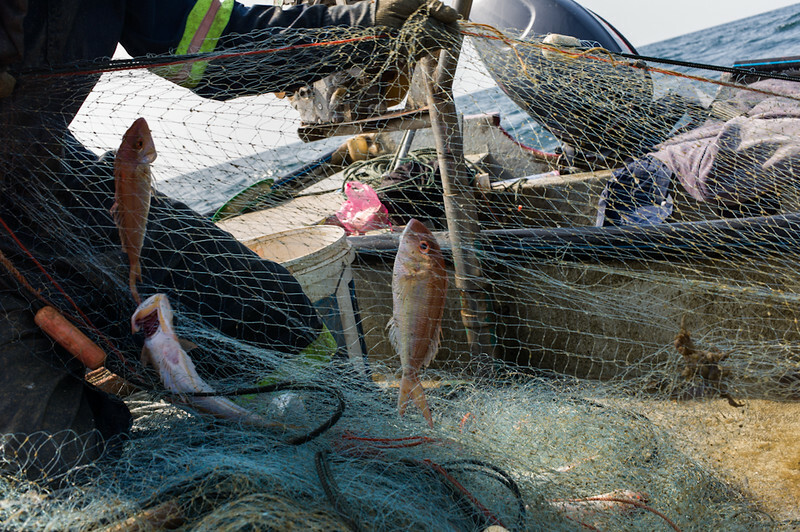 After about an hour or so, the fisherman began to reel in the net. The flag are markers at the beginning and end of the net. As he reeled in the net, one can literally see the catch a little at a time. Of course there were plenty of jelly fish, debris and other unwanted catch that got caught in the net. 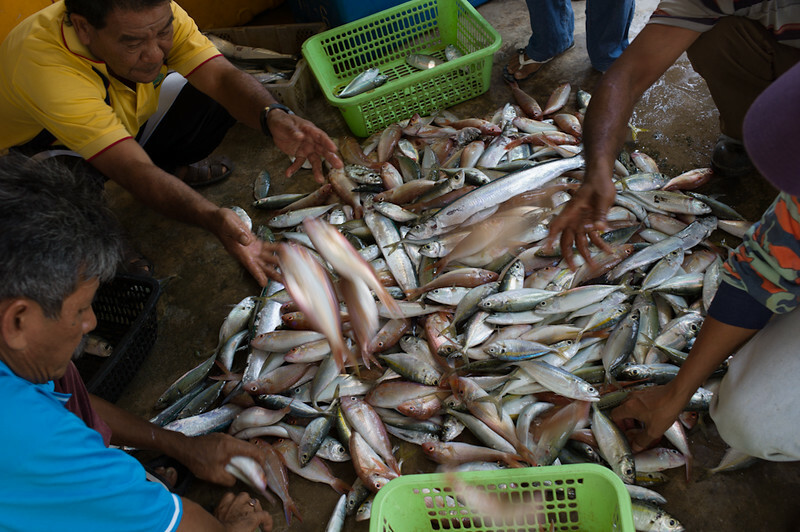 A view of some of the catch. 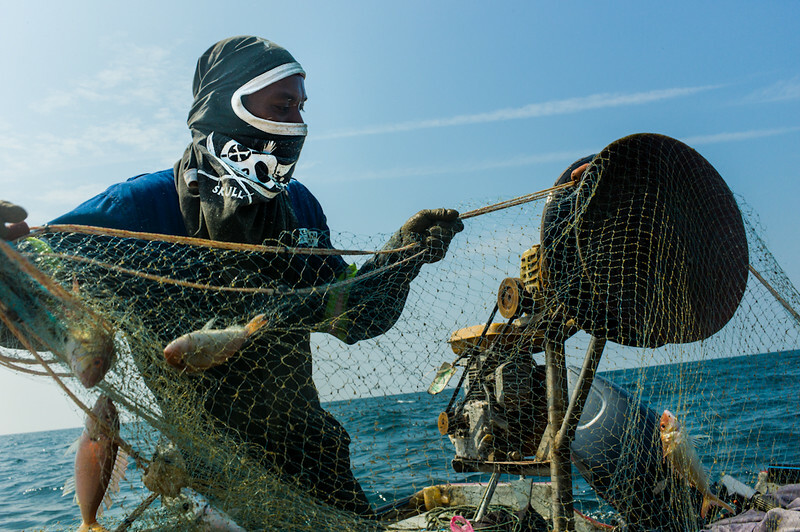 The life of a fisherman is not an easy one, and I gained a deeper appreciation for the hard work of these men, who not only have to contend with the elements but also the dangers of being out in the sea. The rocking motion of the boat also made it extremely difficult to shoot (not to mention contributing to my sea-sickness), and I can imagine how it will be like for them, who unlike me, will have to do this day in day out. It was a good catch that day, so much so that the fisherman only let out his net once. 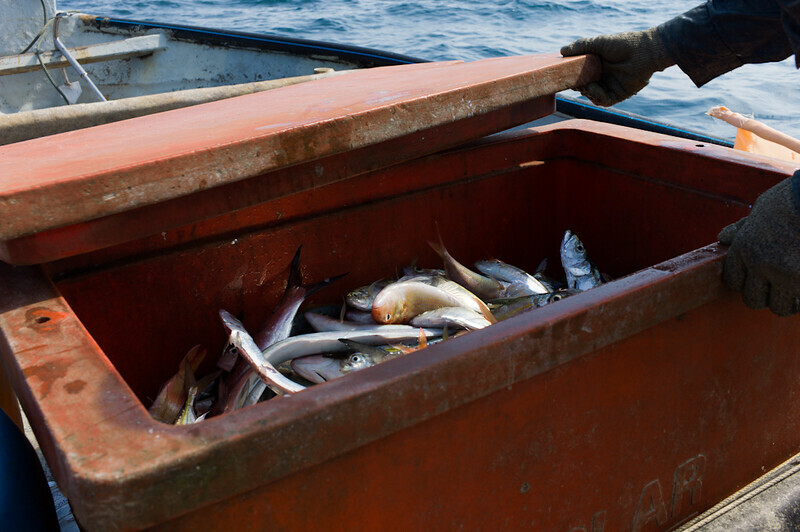 On the boat is an ice box to house the catch. I remembered this box vividly because I sat on it while feeling very sea sick before I threw up. It was a tough assignment in more ways than one! At the end of the day, the catch was brought ashore, and sold at the open market to individuals, wholesalers and other interested parties. The fish were sorted out according to size and type and priced accordingly. Sorting out the fishes ashore. 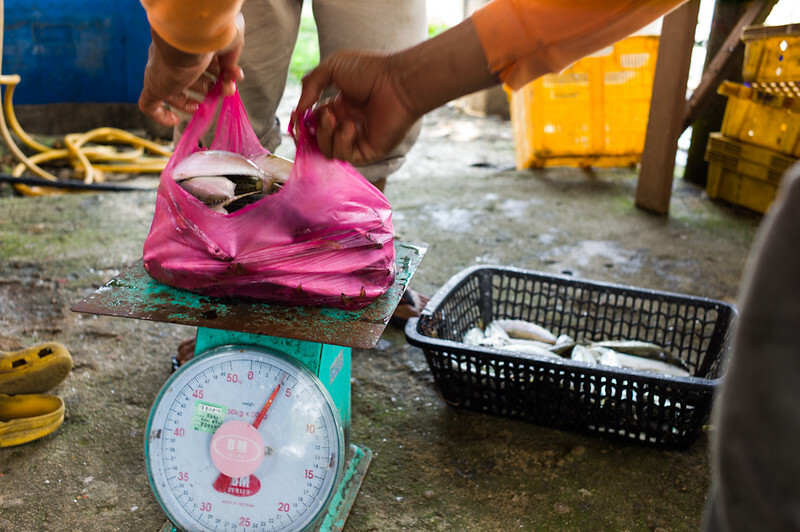 The fishes were priced according to the weight. 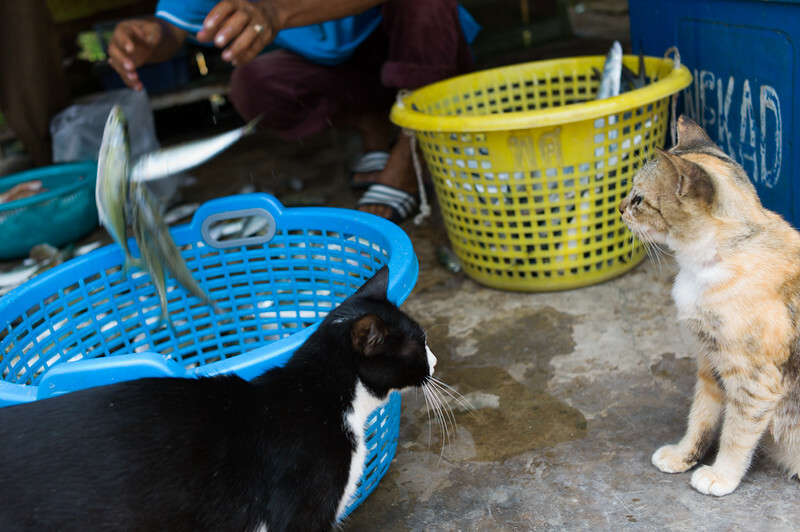 I found out that not only are humans interested in the catch – the feline population there had a vested interest as well. Apparently, there are other interested parties where the fishes are concerned. 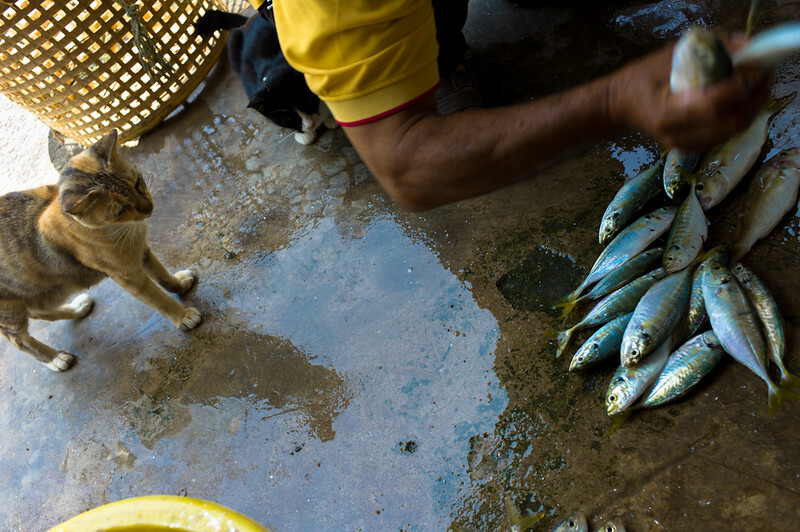 Cats eye the fishes as they were being sorted out. They would get their long awaited meal after the sorting is done. Leica was kind enough to loan the 3 participants of the workshop (of which I was one of them) a Leica M9 with a 35mm Summarit f2.5 each and all the images here were shot with this camera and lens. As a previous owner of a Leica M6 and M3 for over 7 years, the rangefinder experience was both familiar and pleasant, and in fact I love it so much, that 2 weeks ago, I finally broke down and bought my own M9, reuniting with the Leica M system! The Leica M9 and 35mm lens I brought out to sea with me – it got thoroughly soaked with sea spray but it kept on working and ticking despite the harsh treatment. 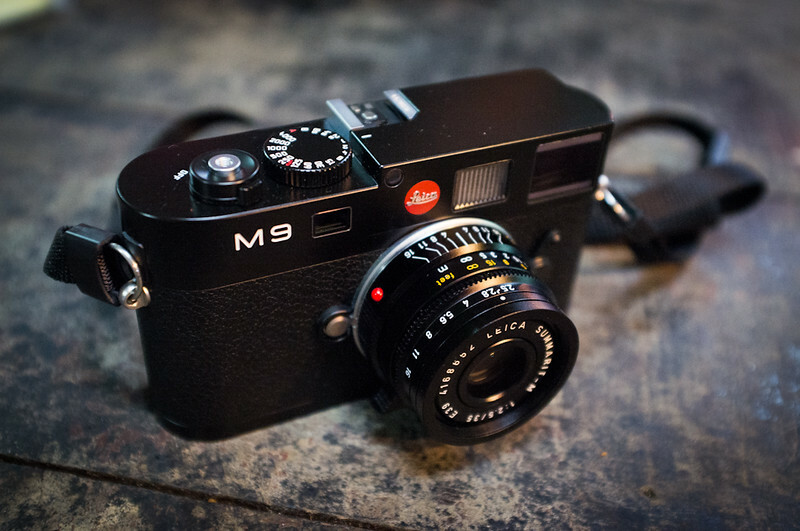 All the images in this post (except this portrait of the M9, of course) were taken with this camera and lens. 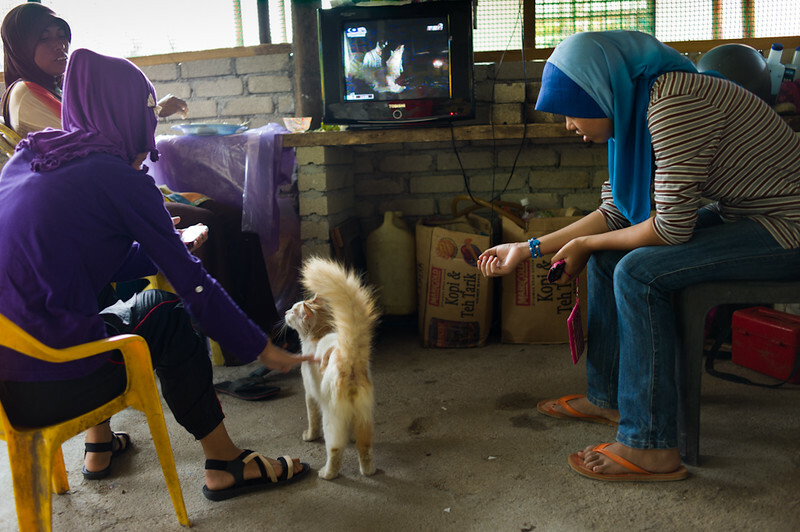 This whole essay was done with a single Leica M9 with just one lens, the 35mm f2.5 Summarit. Remember, if your pictures are not good enough, you are not close enough! Thank you Robert Capa for all you have given to the world of photojournalism and documentary photography.